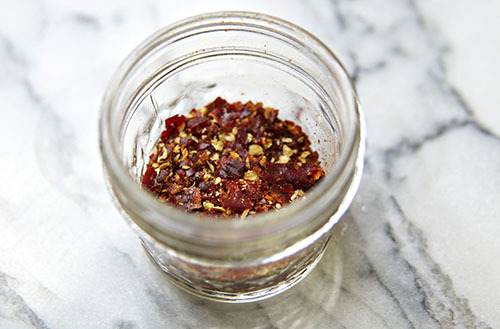 One of my most used ingredients is crushed red pepper. In fact, after salt and butter, it’s safe to say that it is the ingredient I rely on most heavily. 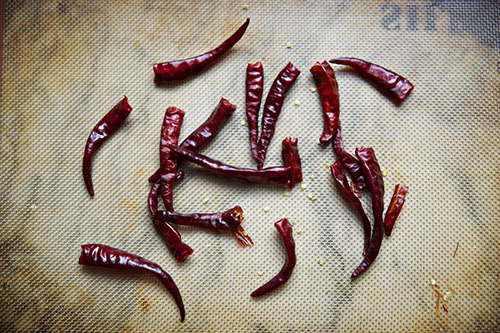 It adds a complex flavor, a spice, without being overwhelming. It’s subtle, but bold. 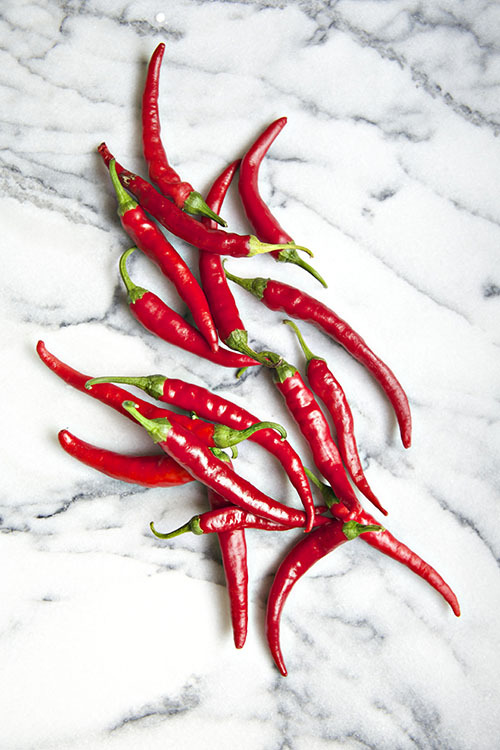 When I was in Kinston recently I stopped by the farmer’s market and picked up a handful of fresh cayenne peppers. After a few hours in a low oven they were crisp, ready to be crushed in our mortar and pestle. Remove stems and preheat your oven to 170-175. 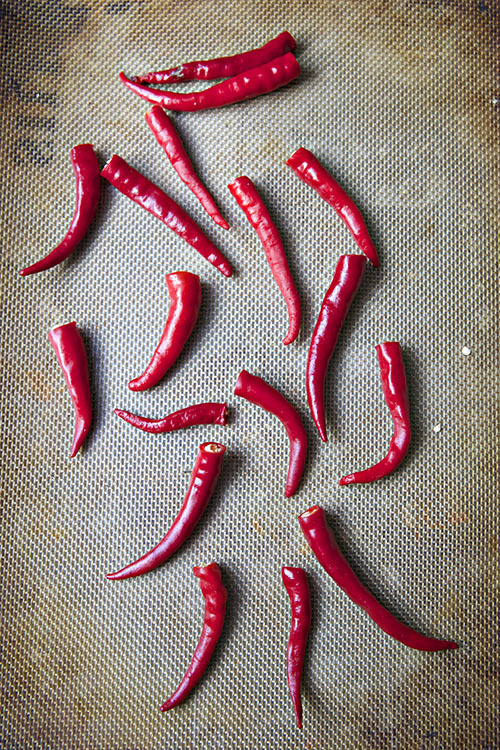 Place the peppers on a baking sheet and allow to dehydrate in a low oven for 6-8 hours, or until they are dark red and crisp. Let cool completely. 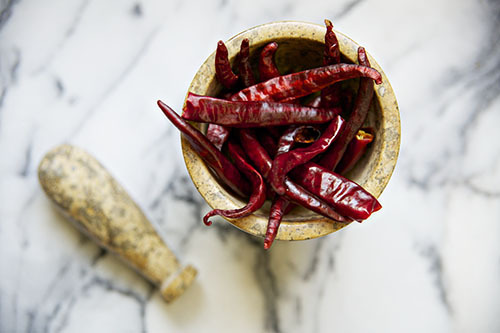 Crush with mortar and pestle or in a coffee grinder (one used only for spices!) until they are the desired consistency. Store in a sealed container.